In a narrow canal house (4.60 x 11.50 x 6 metre), Bodon created with 'efficiency and good taste' a bookstore, remarkable in its differences in level, its galleries, and the steel furniture and racks. The virtually unaltered interior survives today as an art gallery. 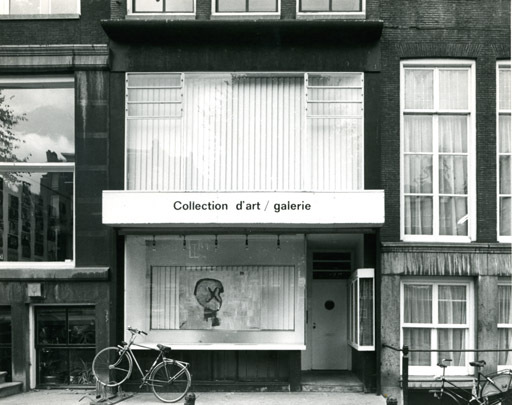 A variation on the design in modified colours and materials is to be found nearby at the Pegasus bookstore, Leidsestraat 25 (architect Coen de Vries, 1983), now a Dr. Adams shop.